Amidst the Lunar New Year festivities, the past few weeks could potentially be momentous for many M1 shareholders. This emanates from the ongoing voluntary general offer for M1 which will be closing on 18 Feb 2019. Having vested in M1 myself, I too am in a quandary over whether to accept the offer or not. 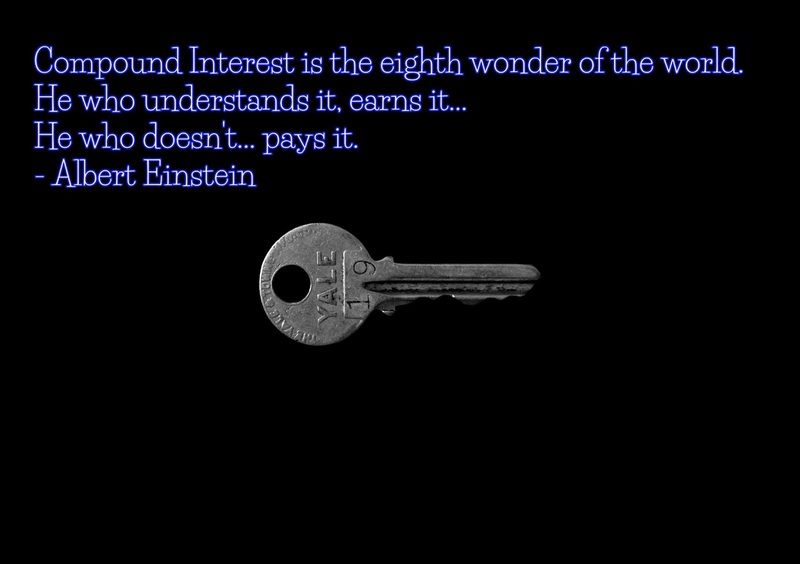 You see, I have purchased it when i first started out learning the art of investing as a beginner. It was in 2015 when it was priced steeply above $3 per share. But I will probably save the tale of woe for another time. In this current predicament, we can grouse about the perceived unfair offer price or we can play the hand that we have been dealt. In this article, I will focus on the latter and lay out the decision tree on the course of actions that is available for the minority shareholders. Following the closure of the Offer, Konnectivity has annouced that the total number of shares owned or agreed to be acquired by Konnectivity represent 94.55% of M1. With that, Konnectivity intends to compulsorily acquire the shares of the shareholders who have not accepted the Offer. The trading of M1 shares has been suspended. Further acceptances have been accepted, resulting in the Konnectivity controlling 90.15% in M1. As there is now less than 10% of the total number of issued shares of M1 held by the public, the free float requirement will not be fulfilled. Therefore, M1 will be delisted from SGX after the offer closes. The closing date of the offer has thus been extended from 4 Mar to 18 Mar. For shareholders who have accepted the offer before it becomes unconditional, they should have received the sales proceed on 26 Feb. It will be credited directly to the designated bank account. It is announced that Axiata has accepted the voluntary general offer made by Konnectivity for its entire stake in M1. M1 has also released a statement to declare that the Offer has become unconditional with the total number of shares owned or agreed to be acquired by Konnectivity representing 76.35% of M1. The closing date of the offer has thus been extended from 18 Feb to 4 Mar. For shareholders who have accepted the Offer before the announcement, they will receive the payment within 7 business days (by 26 Feb). For those who have yet to accept but would like to do so, will receive the payment within 7 business days after the Konnectivity has received their acceptance. Currently, Konnectivty has yet to achieve the revised compulsory acquisition threshold of 93.33% but has reached the majority approval threshold of 75% in the event of a delisting resolution. Based on the information available, I feel that the recent move by Axiata might spur higher acceptance rate among minority shareholders who have yet to reach a decision, which might amplify the possibility of a delisting scenario. On 27 Sept 2018, Keppel Corporation Limited and Singapore Press Holdings Limited has made a voluntary general offer to acquire the remaining stakes in M1. It is carried out via Konnectivity Pte Ltd ("Konnectivity"), a joint venture company majority held by Keppel. The Offer Price for each M1 share is at $2.06. In order for the Offer to turn unconditional, Konnectivity should be holding more than 50% of M1 Shares (minimally 50% + 1 share) by the end of the Offer period. Pursuant to Rule 28.1 of the Singapore Code on Take-overs and Mergers, Konnectivity is required to announce and inform SGX on the following day after the offer becomes unconditional. Given that there has not been announcement of such nature by Konnectivity (other than the mandatory declaration of valid acceptance on 22 Jan when it has extended the closing offer date), I would think it is safe to assume that the 50% threshold has yet to be satisfied. According to the Offer Document, the stated intention of Konnectivity is to gain majority control of M1. Konnectivity will, following the close of Offer, conduct a review of M1's operation with the aim of implementing strategic and operational changes to allow M1 to compete more effectively in the telecommunication sector. As such, the majority control obtained by Konnectivity will allow it to facilitate the business transformation of M1. Prior to the start of the general offer, Konnectivity has an aggregate interest of 33.32% in M1. As of 22 January 2019, Konnectivity has announced that it has received acceptance of 1.05% of the total shares. This brought the total amount of shares owned by Konnectivity to 34.35%. Therefore, Konnectivity needs only to acquire an additional 15.65% of the total number of shares in order to reach the 50% threshold. Apparently, Axiata is holding the trump card in this offer. Contrary to general expectation at the outset of the Offer, I would think it is unlikely that Axiata will mount a counteroffer at the eleventh hour, with just less than a week left to make a decision. In the event that Konnectivity has received valid acceptance or has acquired shares that totalled to 93.33% or more of the total number of M1 issued shares (90% of the shares that Konnectivity does not own at the date of offer), Konnectivity has stated that it intends to exercise its right (under Section 215, Companies Act) to compulsorily procure the remaining unacquired shares on the same offer term. This will ultimately result in the delisting of M1 from SGX. In a similar fashion, Axiata has a pivotal role if the scenario of a delisting resolution plays out. Pursuant to Rule 723 of the Listing Manual, there should be at least 10% of the total number of issued shares of a listed company held by the public at all time. If the percentage of the total number of M1 shares held in public hands fall below 10%, SGX may suspend the trading of M1 shares at the close of the Offer. Under the Listing Manual, "public" in this case refers to, among other things, persons other than substantial shareholders (ownership of 5% or more of the voting shares of M1), hence effectively excluding Axiata by the definition. In the event that the free float requirement has not been met, Konnectivity has stated that it does not intend to preserve the listing status of M1. However, under such situation, Konnectivity may not be able to compulsorily procure the remaining unacquired shares if the compulsory acquisition threshold of 93.33% is not achieved. To put it simply, if Axiata does not tender all its shares (28.69% interest) in acceptance of the Offer and there is less than 10% of M1 shares held by shareholders who are members of the public, the trading of M1 shares will remain suspended. To ensure that shareholders do not have to hold suspended shares for an indefinite period, Konnectivity has obtained a conditional confirmation for waiver of aforementioned conditions to the delisting resolution from SGX in the event that M1 does not meet the free float requirement. In such circumstances, Konnectivity will offer cash exit alternative on the same terms as the Offer to the remaining shareholder, which may eventually lead to the delisting of M1. With all the information presented above, we can now delve into the decision tree on the general offer. It might appear a little intricate at first glance, but fret not. The subsequent sections will break down the branches of the decision tree. M1 shareholders can choose to either accept the offer by completing the Relevant Acceptance Form or not accept the offer. Alternatively, shareholders can also choose to sell their shares on the open market and lock in at the prevailing price. At the time of writing, M1 is currently priced at $2.04 per share. I would think that this is probably due to pessimism surrounding the conditionality of the Offer and some may choose to seal the deal, albeit at a price lower than the Offer price. Nevertheless, selling it on open market can justifiably be considered a more straightforward option at this stage. The difference is insignificant at $0.02 per share (excluding transaction fee) and it offers a higher degree of certainty than participating in the Offer. Should the Offer fail to become unconditional, it is likely to be business as usual for M1 and its shareholders. Konnectivity will not be able to gain majority control of M1. The relevant number of Offer shares will be returned to the shareholder's CDP account no later than 14 days from the lapse of the Offer. Previously, Axiata, Keppel and SPH have ended their strategic review on the divestment of their stakes in the telco without reaching a consensus in July 2017. Following the news, M1 stock has fallen approximately 9%. In my opinion, the share price of M1 is likely to fall back to the price level prior to the general offer, if not more. If Konnectivity owns more than 50% of M1 shares by the close of Offer, the Offer will become unconditional. As such, the shareholder will receive the payment within 7 business days. Having achieved majority control of M1, Keppel and SPH will likely to proceed with their stated intention of facilitating the business transformation of M1. It is anyone's guess as to how successful M1 will turn out to be under the management of Keppel and SPH. However, I would anticipate the share price of M1 to fall below $2 in the short term. This could be attributed to the mediocre 2018 financial results, as well as the increasingly competitive landscape of the telco industry. Alternatively, Konnectivity may request M1 to apply to SGX to be delisted. But this would depend on how likely it is to attain approval of at least 75% of the issued shares. For example, if Axiata does not accept the Offer, the delisting of M1 will be highly improbable. In such scenario, Konnectivity has intended to exercise its right to compulsorily procure the unacquired shares and proceed to delist M1 from the local bourse. Similarly, the shareholder will receive the payment within 7 business days after the Offer becomes unconditional. Similarly, it is probable to be business as usual for M1 and its shareholders. With less than or equal to 50% of shares, Konnectivity will be unable to gain majority control of M1. In my opinion, the share price of M1 is likely to fall back to price level prior to the general offer, if not more. If Konnectivity has achieved majority control of M1, Keppel and SPH will likely to proceed with their stated intention of facilitating the business transformation of M1. Alternatively, Konnectivity may request M1 to apply to SGX to be delisted which may hinge upon the result of the general offer. Even if the shareholder has not accepted the offer at the onset, he has to relinquish his shareholding on the same offer term. For the past few months, M1 has been trading narrowly between the range of $2.04 to $2.12. And it is evident that the share price is being propped up by the offer price. If this price support is to be removed, M1 share price is likely to sink further. Personally, I think it is unlikely that Konnectivity will be able to obtain 93.33% or more ownership of M1 shares. There could probably be an equally likely chance of Konnectivity owning less than or more than 50% by the close of Offer. I would presume that most might take a side towards the end of Offer period while waiting to see if Axiata is making any move. With the increasingly competitive landscape of the telecommunication industry, worsened by the establishment of low-cost mobile virtual network operators, it is challenging to operate in the current saturated market. It would appear that the industry model is no longer the secured oligopoly as it once was. The pricing pressure aggravated by the incoming TPG Telecom, as well as the rising adoption of the cheaper SIM-only plans have posed a double whammy to the underlying revenue of existing telco. To be frank, I am not sanguine on the outlook of telco industry at this stage. Furthermore, I imagine that M1 share is likely to trend downward regardless of the outcome of the general offer. Having said that, I would consider either selling it on open market or completing the Relevant Acceptance Form. Disclaimer: Kindly note that this is not a sponsored post. The author is in no way affiliated with the stated entities (other than being an investor of M1) and does not receive any form of remuneration for this post. The Boy who Procrastinates has compiled the information for his own reference, with the hope that it will benefit others as well. For the past decade, the restriction on the withdrawal of CPF funds and its reliability as a retirement solution has remained a perennial concern among Singaporeans, particularly for the senior generation. In addition, the national pension system has often drawn flaks for its annual increment in the minimum retirement sum. Regardless of the sentiment, the CPF will continue to be a hot button issue among Singaporeans. Similarly for me, it has remained at the forefront of the conversations that I have with my friends, especially when we have reached the ideal age range and of stable financial capabilities for BTO. As 20% of our monthly salary is being stashed away in CPF, I feel that it is perhaps time to go back to the basics and understand this pension system better. For that reason, I would like to initiate a series of articles on CPF and to pen down my thoughts on how it can fit in as part of our retirement planning. As part of the changes to CPF system in 2008, the first $60,000 in the combined CPF balances, with up to $20,000 from the Ordinary Account (OA), will earn an extra 1% interest. To illustrate this simply, I have come up with a few common scenarios to elucidate the conditions imposed on the balances across the 3 accounts in order to earn the additional interest. Scenario 1: Even though the individual has a total of $65,000 of combined balance in his CPF accounts, only $45,000 of it is eligible to earn the additional 1% interest. This is because there is a cap of $20,000 balance contributed from the OA. Scenario 2: The combined balance that will rake in the extra 1% interest is capped at the first $60,000 even though the CPF member has a total of $100,000 across all 3 accounts. Scenarios 3 & 4: These two are extreme examples that serve to exemplify the working of the CPF interest rate system, chiefly for those who might have insufficient fund in their OA. Basically, you will be able to bag the extra 1% interest as long as you have $60,000 in the combined (or either) accounts of SA and MA. 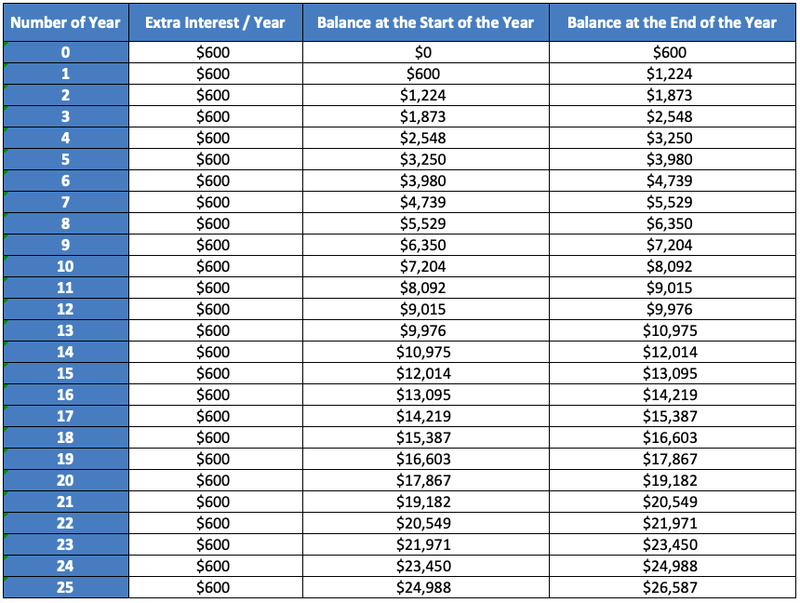 In a nutshell, the table above outlines the basic idea of the interest rates across OA, SA and MA after taking into consideration the bonus interest earned. To add on, CPF members aged 55 and above, will earn an additional 1% on the first $30,000 of their combined balance, on top of what is presented above. Where does the additional interest go to? Initially, I had the misconception that the additional interest earned will be returned to the respective accounts. Naturally, it would be a logical deduction that one can make. But I was wrong. Instead, the extra interest received will go into either the individual's SA (below age 55) or Retirement Account (RA) (age 55 and above). With the current CPF allocation rate as tabled above, it is reasonable to extrapolate and assume that the OA will have the highest balance, followed by MA and then SA. At least, that is the trend that I have observed for my CPF accounts. Hence, I reckon that most working adults under the age of 35, might find themselves in situations closely resembled that of Scenario 1 in which the amount of extra interest received is not maximised. For CPF members below the age of 55, the maximum amount of extra interest that he can earn each year is $600. It might not seem much with just an additional $50 per month. But when time is on our side, it might evolve into a formidable ally eventually. Give me a minute, I'm good. If I've got an hour, I'm great. You give me six months, I'm unbeatable. The accumulation of the extra interest alone would snowball to $26,587 over the span of 25 years. This would also bring us closer to meeting the Full Retirement Sum ("FRS") when it is time for us to enjoy the fruits of our labour. As much as I am at variance with the illiquidity aspect of CPF funds, I have to acknowledge the power of compounding effect over time. In this case, it has accounted for 41.32% of the ending balance after 25 years. Hence, I am convinced that we should optimise the additional interest, especially for working adults at the nascent stage of their careers and with time as their advantage. Given the CPF allocation rate as tabled above, it is highly likely that the OA balance will exceed the $20,000 cap after 2 to 3 years of working. Thereafter, the most straightforward way to optimise the additional interest is to carry out a transfer from OA to SA so as to circumvent the upper limit imposed on the OA balance. Furthermore, the transferred funds would earn a higher interest at 4% in SA, instead of 2.5% in OA. Nevertheless, one should be cautioned on the irreversibility (one-way) of such process. The underlying concern stemmed from the comparatively versatile nature of the funds in OA than that in SA. For example, the OA balance can be utilised for the servicing of mortgage and as payment for tuition fee, but not with the funds in SA. Thus, the tradeoff of shifting from OA to SA is unquestionably the confinement of choices that one may have with regard to the usage of OA funds. For those who have already come up with a game plan for the usage of OA balance, the next strategy on the playbook is to make a voluntary cash contribution to either SA or MA. This comes with the added benefit of income tax relief of up to $7,000 per year. As always, there are 2 sides to a coin and the tradeoff is between the liquidity of cash and the locking up of retirement funds until the age of 55 (subjected to the fulfillment of FRS). With the various restrictions imposed on the withdrawal of CPF funds, it is of little wonder that many have labelled the pension system as "money that you can see but cannot touch". In spite of that, I feel that the combination of the compounding effect as well as the ample time available until retirement, would certainly arm young working adults or even students with the advantage of meeting the FRS early. Thus, it would probably make sense to optimise the additional interest and reach the $60,000 balance as early as possible.